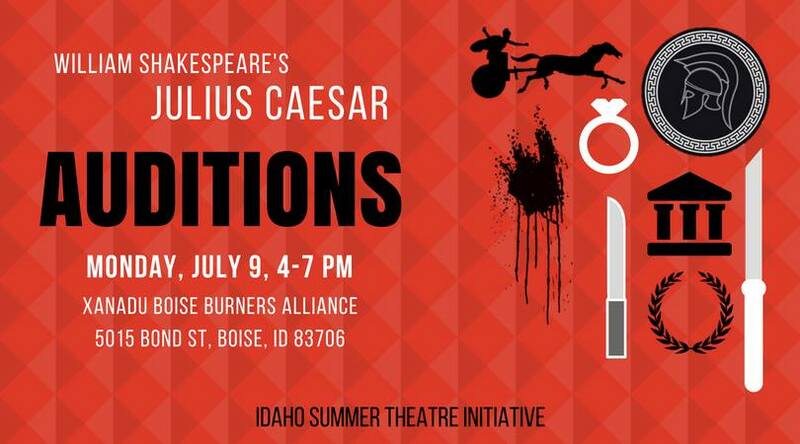 FRIENDS, IDAHOANS, COUNTRYMEN, lend your talent to ISTI’s production of Shakespeare’s grisly political drama! Idaho Summer Theatre Initiative is a new theatre group with a passion for giving Boise theatre students a chance to do what they love and for bringing art to our community. Our production of A Midsummer Night’s Dream last summer attracted over 400 audience members. Rehearsal schedule is dependant on cast availability.